I have always been a hard-working sort of gal—and no, this is not a preamble to some irony-laced witty statement. Sadly, it is exactly what it is. A combination of a middle-class Indian upbringing compounded by the puritan work ethic of the north-east US where I went to college has made me into a worker bee and occasional drone. I am diligent. This is all very well if you want to work, but not so great if you want to spur your creative juices. 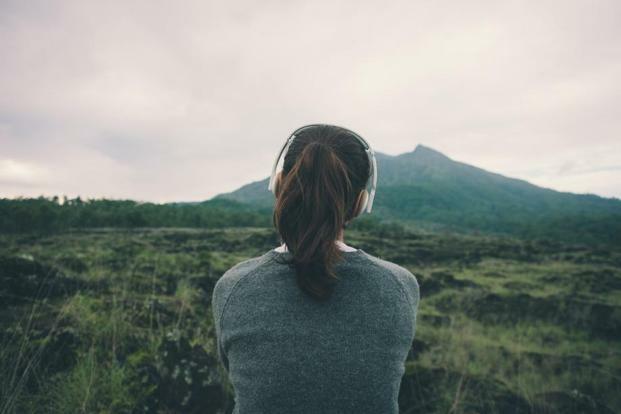 There are several activities that get people into what is sometimes called “the zone”, where the mind empties and thoughts flow. Positive psychologist Mihaly Csikszentmihalyi called this the “flow” experience, but he applied it more in the context of peak performance when a person was fully engaged in, and energized by, the task s/he was doing, whether it was rock-climbing or painting. A flow experience involves losing yourself in an activity and was usually solitary. Shopping with a friend, in other words, didn’t make the cut. Too much nattering about price comparisons and coupons. Unlike flow, the zone I am talking about involves a certain disengagement from the task at hand; a trance-like state in which creative thoughts pour in; new ideas make their appearance; and problems get solved. Musicians call this being in the groove. The monks who discovered some of the finest things in life, such as coffee and beer, did this while being in the zone: the prayerful zone, that is. Some people experience this when they are taking a shower; others while running, speed-walking, listening to a concert, or even washing the dishes. You can be active or inactive to get into the zone, although physical activity offers a two-for-one experience: good for the body and the mind. Zone activities are those that you approach willingly, and they usually leave you refreshed and less tired than you were when you started. Scrubbing the bathroom floor might take a saintly few to the zone but for most people, the zone is reached through a pleasurable physical or mental activity: birdwatching, singing, skipping. Children do this naturally. The trick is to sustain it as an adult. Once you get to a certain age, you realize some sobering things: You are no Einstein; all those teenage aspirations that you had about changing the world are going to come to naught because—well, read the first part of the sentence. How then do you reframe your life so that it becomes meaningful? How do you get into the groove, the zone, call it what you will? In his book Late To The Ball: Age. Learn. Fight. Love. Play Tennis. Win., former editor of The New York Times, Gerald Marzorati, suggests cultivating skills or hobbies that demand discipline, “something that will take years to get proficient at, something that there is a correct way of doing, handed down for generations or even ages, and for which there is no way for you to create short cuts with your cleverness or charm”. Marzorati talks about learning to play serious tennis after middle-age. It renewed and rejuvenated him, he says. What he doesn’t mention is that overused word of this age: productivity. I am sorry to say this but productivity is for bees. Life is not only a script with a beginning, middle and end. It is a process. Sometimes, life is not about analyzing or achieving. It is about engaging in a task and losing yourself in the process. It is about finding things that can make time vanish and coming away renewed.